The nephew of Ayrton has had an unobtrusive first-half to the season yet managing to bag a sixth place on the rain-hit chaotic race in Malaysia. Highly overshadowed by the victory of Alonso and Sauber’s first podium since the BMW times in that fight till the flag race. Before the session being red flagged, Senna has been found nowhere and wandering at the back with a few heartbreak spins including. Unlike his late great uncle, Bruno has a smoother driving style and in fact it pays dividends on race trim as he ended up salvaging points in few races. Maldonado’s outright pace gifted him with a pole-to-flag victory at Spanish GP but slashing out the twenty five points out of his total, inconsistency of scoring let him down as he crashed and paid frequent visits to the stewards’ office on a number of times. Before the summer-break kicked in, all that Williams needed was a good finish and reliable pace. The reserve driver, Valteri Bottas, threatened to dispossess Senna and reported to have claiming his stakes for a race seat come 2013. 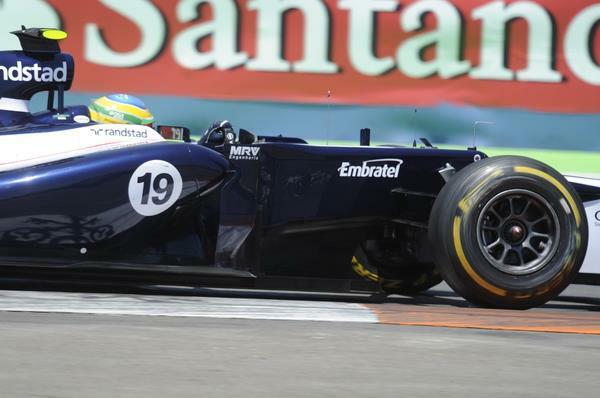 The race at Hungary proved to be crucial for Senna off the back of yet another pointless weekend in Germany. In all but Monaco and Canada, Bottas had been a regular in first practice driving Senna’s FW34. He quipped after the race that he has driven with a compromised set-up and felt the front-end good throughout the weekend. Might his new front brake duct which heat up the tyres would have helped. I see no reason why people blame Bruno for being what he really is. He didn’t buy his way into F1 and he has the talents to stay up there for a long time. This season is all about putting the heads down and finishing on consistent basis. Nevertheless, Senna could now enjoy the break and relax himself. He languishes just four points adrift to Maldonado and has the battle raging to keep the race seat at Williams as F1 circus resumes at Spa on September. Bruno’s a nice guy, had a chance to chat with him and he’s really down-to-earth, very relaxed. Whether he will achieve greatness is another matter but I like the bloke. Bottas, from what I’m hearing, is seriously good. He could be the next Vettel. Might come at the expense of Bruno at Williams but life’s tough in F1.